Over 300 known vectors of change! WoLF Water has the highest balanced energy and coherence in any quantum water structuring to be found. Why? Because no other process or machine even comes close to doing all that Pillar of Light’s Water of Life Fountain does to make healthy water. 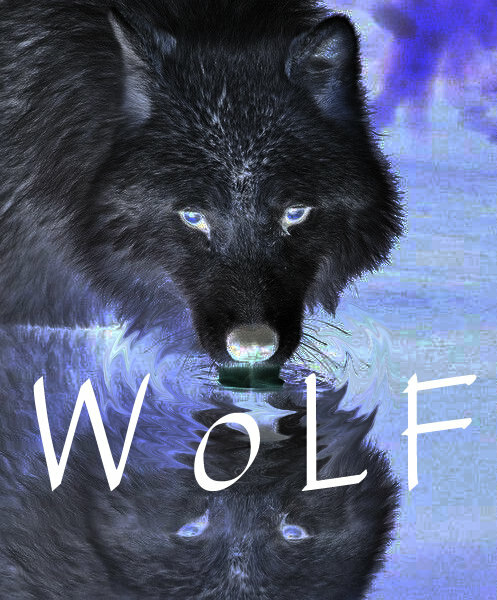 WoLF Water is made powerful by emulating nature as it provides many subtle but proven vectors of change that make quantum water programming a reality. HOLISM – The Whole is greater than the mere sum of its parts. In this chart below, we take a look at a comprehensive list of both “active” and “passive” vectors of change in making WoLF Water – process items and actions that help to structure water at the holistic level. Refer to our INFORMATION FIELD page for more clarification about what it is and some of its properties. It would be helpful for you to know this for better understanding of the WoLF Water charts below. Visit our page for picture albums, slide shows and daily content on everything about the WoLF, Quantum WoLF Water, healthy water, water structuring, structured water, stress reduction, electromagnetic pollution abatement, chakra balancing, chakra tuning and more. A key to having more than 300 processes or vectors of change all working harmoniously is to have a system in place that works to energetically and informationally balance the overall, holistic action of WoLF Water structuring. Hard Wired – is standard electronic connection but it can also carry and assume quantum physics roles super-imposed upon it. Also within standard physics perception, but perhaps less obvious, are things like EM or Electromagnetic Field Coupling. Virtual – These processes are not directly apparent to the naked eye, or the mind, that thinks only of standard physics. Quantum mechanics actions are the main dynamic here. Active and Passive Process – Quantum Physics perspectives include the actions, both active and passive, of Water’s innate abilities to operate in those realms that go beyond the constraints of both time and space rules that apply in the standard physics model. 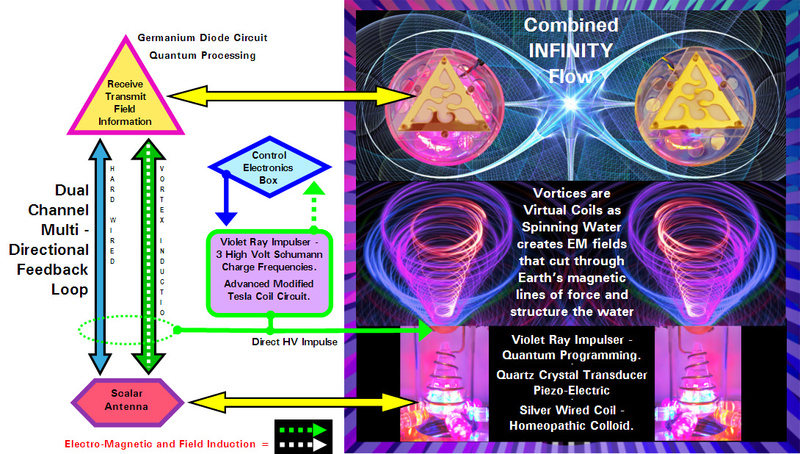 Induction – refers to both energetic and information connections that take place due to Electromagnetic and Magnetic Coupling, Light Frequency, Sound and High Volts Schumann Pulse Energy, Piezo-Electric Effect, Vortex Energy and more. Quantum Processing – refers to the same systems and energies but also includes the natural attributes of the Water System itself. With water’s ability to operate within the quantum “field” of Information, we can program the water to be more coherent, active and responsive both energetically and through the memory or data stored in its clusters. DOES THE WoLF REALLY WORK? We know that it does. Even though we are but a few entrepreneurs, we have followed the Global Community of water structuring research for 30 years or more, and have paid close attention to what the overall consensus derives as the most effective processes to use in water structuring. Most of the time, they are the very same processes that are evident in nature. So we emulate those natural processes as we can. As it turns out, the design elements that have gone into to our WoLF device from their beginnings as but divinely guided inner wisdom inspirations, just happen to strongly align with the highest understandings coming out of today’s scientific inquiry. It seems that Jack Derby’s guidance was quite on the mark even before we knew what was going on or had today’s scientific language to describe it. “Just shut up and do it” was some of his early inner wisdom prompting that helped to keep his doubting mind and ego out of the creative process. And so here we are today. But all of this can be a challenge to adequately convince and prove to skeptics not at the leading edge of science. And it’s especially so for a small and unrecognized technology company with little funding. Science and technology has discovered how to make great use of electricity and particularly, magnetism. As science delves deeply into HOW these work exactly, they run into endless questions. But that doesn’t stop the world from making great use of these phenomena in the meantime. In the same way, we are now starting to learn how to make use of water’s quantum and Information Field abilities but still know little about exactly “how” it works. More recently water’s quantum states have begun to be revealed and it is now believed that coherent quantum domains, like a type of shielding, develop around clustered molecules and trap electromagnetic signals inside them as a type of memory. In the last 10 years, Global Research of water and the effective structuring process has grown rapidly in knowledge. This is still not COMMON knowledge however. And those who don’t know about the research want to be shown that these things are true and proven. Particularly, risk wary investors, that know little of science, are saying “prove it” before investing. Since they don’t see it in their everyday world, they don’t know about it or trust it. When they ask our little company to “prove” it, we see it as re-inventing the wheel. It’s already been done in the Leading Edge Global Research Community. But they don’t see it that way. They don’t see it all. And those in the know of water’s amazing attributes can understand why. As it’s turning out, water’s capabilities are almost limitless and hard to believe. Water operates with the same properties that have been found in the field of Quantum Physics: That super weird science that’s really hard to imagine. Even Albert Einstein called it “Spooky Science.” But it has proven to be true over and over and a century later, people still resist it. Meanwhile, even those of us worldwide that are aware of water’s awesome properties are still not working in any real sense of cooperative information sharing for the good of the whole. It’s because so many have financial interests in where the industry of “ALL THINGS WATER” is going. Each wants their piece of the pie and competition doesn’t promote sharing; even though the world’s drinking water emergency grows stronger. Water is quickly becoming a leading economic industry on several fronts. Water medicine (or wave medicine), water bottling, water conservation and purifying products, water based health, scientific, cosmetics products, industrial and more …. are just a few areas of interest. WATER is indeed the world’s most amazing substance. So we don’t expect it to give up the very secrets of life quite so easily. It is said that water is most sensitive to human intent and emotions. We believe this is indeed true, so we must learn to pay careful attention to what we create in our lives, worlds, mind, emotions and body everyday. After all, we are made of 99% water by number of molecules. Water’s extreme sensitivity to ALL ENERGY AND INFORMATION make it a difficult substance to nail down and say exactly what it is and how it works. It’s sensitive quantum nature makes it so that the very act of observation and testing may change its attributes to reflect or match those that are the observers when performing the tests or programming water. The types of energies used in testing are also known to affect changes in water’s attributes. This is part of the reason why you may find many different opinions about water structuring and how it works or even what to test for and what aspect of water’s attributes are important ones to measure. Here at Pillar of Light Enterprises, we will tell you the truth. We don’t know anything for absolutely 100% sure. We don’t believe anyone does. It’s foolish science to claim such things. Many times, science has got it wrong. But rarely does any theory or presumed “scientific principle” get it all wrong but only partially incorrect. Someone comes along and learns more about a situation and updates the evidence. And so it goes. However, we rely on our personal observation and anecdotal evidence that shows that using coherent structured water is healthy for our bodies, pets and the plant world around us. We also trust the divine guidance that has inspired us to create the devices that we have and that the inner wisdom that has come through is valuable to us and humanity. Like any fine craftsman, we put our greatest effort and intent into the WoLF. We are not here to swindle or deceive as many doubters often assume. There are those in this world that do not know any better and create hoaxes for greed and power etc. But that is not us. We are here to serve you with superior product as affordable as possible as a custom and handmade shop can; while also trying to make a reasonable living for ourselves. Consider us similar to a custom Guitar craftsman. They will craft a sonically superior guitar made with the finest wood from around the world that not only resonates but looks beautiful too. Pearl inlays, painting and the highest quality parts and hand made plans and details go into every guitar. No, you will not find this guitar in a large chain store. And yes, it’s expensive. But its quality is unrivaled and it will be your musical best friend for a long time to come. And speaking of lasting a long time; we have seen that, built into the very nature of the water structuring technology we use, is an unintended but very welcome side effect where the machine is self cleaning. Water deposits rarely, if ever, collect in the vortex systems and pipes below them! We have an old WoLF model that we’ve used in our shop daily for the past 20 years and we never have to clean out deposits but only change the filter ahead of the machine. Also, there are no moving parts to wear out. There are electrical/electronic parts but those should last a long time if cared for properly.